For the opposition, the presidential election will be an obstacle race on a non-level playing-field, overseen by a biased judge. If the opposition can agree on a common candidate, it will be over the first hurdle. A common candidate is not a sufficient condition for electoral victory; but it is an absolutely necessary one. Without it, with an opposition divided and bickering, the election will be lost even before the nomination is over. The next hurdle will be to discover and address the most pressing issues facing the electorate. The CPA’s latest opinion survey, Democracy in Post-War Sri Lanka’, would be invaluable in this regard[i]. The survey confirms an important surmise: the core-constituency of the Rajapaksas – the Sinhalese – continues to erode. The survey also confirms that this erosion is caused mainly by rising economic distress and falling economic expectations. According to the survey, 45.1% of Lankans think that the national economic situation got little or lot worse in the last two years; 43.5% of Sinhalese also feel the same. In 2013, 44.3% of Lankans and 39.2% of Sinhalese thought that the national economic situation got a little or lot worse in the previous two years. In just one year, pessimism about the direction of the national economy has increased by 1.8% among all Lankans and a very significant 11% among the Sinhalese. According to the 2014 survey, 50.1% of Lankans and 48.2% of Sinhalese think that the current economic situation in the country is somewhat bad or very bad. In 2013, 50.5% of Lankans and 45.4% of Sinhalese regarded the economic situation as somewhat or very bad. While the percentage of Lankans who have a negative opinion of the national economic situation has decreased infinitesimally, the number of Sinhalese who are unhappy about the state of the economy has grown quite significantly, by more than 6%. According to the latest survey, 54.1% Lankans and 54% of Sinhalese think that their own household economy got little or lot worse in the last two years. In 2013, 52.7% of Lankans thought their household economy got a little or lot worse, as did 49.3% of Sinhalese. In the last one year, the number of Lankans dissatisfied with their own personal economic conditions increased by 2.7% while the number of Sinhalese unhappy about their own economic situation increased by a telling 9.5%. In 2014, 42.7% of Lankans and 43.1% of Sinhalese said that they had to cut back on the quantity/quality of the food they purchased. In 2013, 30.6% of Lankans and 24.1% of Sinhalese said that they had to cut back on the quality of the food purchased. In the last year, 39.5% of Lankans and 78.8% of Sinhalese had to reduce the quality/quantity of the food they purchased. In 2014, 66.3% of Lankans and 67.4% of Sinhalese thought that the government should prioritise cost of living; in 2013, the figures were 58.5% for all Lankans and 58.5% for Sinhalese. The survey paints a picture of an economically distressed and discontented electorate. Even more significantly it shows an economically despondent Sinhala majority. In the last year, economic pessimism exacerbated far more sharply among the Sinhalese. The conclusion seems obvious: the minorities became wise to and disenchanted with the Rajapaksa economics early; now the Sinhalese are catching up, and fast. Little wonder that the Rajapaksas want to have national elections as soon as it is constitutionally possible. The picture presented by the CPA survey indicates, yet again, the absolute importance of preventing a third Rajapaksa term. If Mahinda Rajapaksa wins a third term, the economic distress of the populace in general and the Sinhalese in particular will continue to increase. In order to divert Sinhala attention from the growing economic woes, the Rajapaksas will increasingly deploy religious and ethnic racism and xenophobia. In consequence, a new conflict with another minority might become unavoidable during a third Rajapaksa term. The Rajapaksas must be defeated, for the sake of peace, stability and Sri Lanka’s future. The events of the last several years have proved beyond reasonable doubt the dangers inherent in the lopsided executive presidency created by the 1978 Constitution. So long as the term-limit provision was in place, and no single party/coalition possessed a two-thirds majority, the system remained workable. 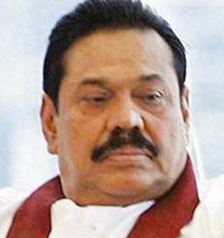 But a sea change occurred during the second Rajapaksa term. 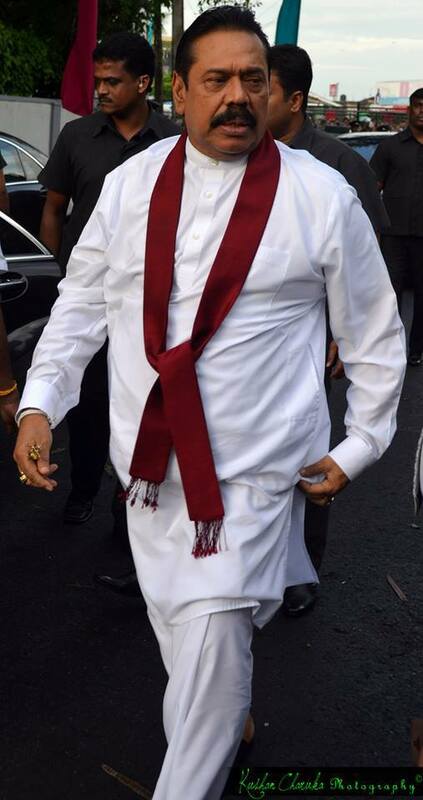 Using the victory over the LTTE as a window of opportunity, the Rajapaksas bribed, blackmailed and threatened a sufficient number of opposition lawmakers into crossing over, removed term-limits and further empowered the already powerful president. Then they proceeded to subjugate the judiciary by removing the Chief Justice via an illegal impeachment and replacing her with a total stooge. They also commenced disembowelling the 13th Amendment and occupying the private-sector economy via acolyte businessmen. The Rajapaksas have shown the way; there is no guarantee that a non-Rajapaksa successor will not make a similar despotic attempt, if the system remains. That is one reason why the all powerful presidency must be replaced with a system which combines enhanced democracy and enhanced devolution, a far more balanced set up with adequate constitutional safeguards for basic freedoms and minority rights. There is another reason – the abolition of the executive presidency is the only platform on which the Opposition can unite and field a common candidate. This is the only basis on which the UNP, the JVP and Tamil and Muslim parties can come together. The slogan is therefore a necessary-glue, an indispensable unifying force. That unity alone cannot defeat the Rajapaksas; but without that shot in the arm, the opposition cannot be immunised against despair, inertia and dissolution. In 1994, many foretold doom when the SLFP gave up the chair symbol and the party name and agreed to contest as Peoples Alliance with a totally new symbol, the chair. Events proved them wrong. Similarly UNPers too can be persuaded to vote for a common candidate and a common symbol, by the UNP. The UNP base would be eager to get rid of the Rajapaksas. If all UNP leaders back a common candidate, the absolute majority of UNPers can be enthused into voting for a common symbol. Much will depend on what Ranil Wickremesinghe and Sajith Premadasa will do. Given their past records, both are capable of sabotaging a common candidate. Going by media reports, Sajith Premadasa is more likely to do so this time than Ranil Wickremesinghe. That is a real and present danger which needs to be addressed. A joint oppositional platform, in order to be successful, needs to have two basic planks. One is the replacement of the current presidential system; the other is a viable programme of action to alleviate the cost of living problem within a set time period, perhaps the first 100 days. A reduction in indirect taxes on essentials and a commensurate reduction in monies allocated to wasteful entities/projects (the sort which exists solely for Rajapaksa profit and Rajapaksa glory, such as Mihin Lanka and Mattala) are entirely possible. Such a programme of action can make the connection between Rajapaksa rule and the growing economic distress of all Lankans, convincingly and eloquently. Madam, don’t waste time fighting a losing battle. You seem to have given up hope even before the battle has even begun. C’mon let us all at least have hope and do our bit to heave and shove together and push these crooked leaders and their henchman into the sea, get us out of this quagmire (stuck in the mud) and restore this country back to its old glory. We need change in the leadership, and we need it now. We need a genuine leader with a vision for the country, not a vision only for his own family. Seems that Karu Jayasuriya and the UNP are still spoiling the only chance we have to get rid of the corrupt and criminal Mahinda Rajapaksa military dictatorship. Chandrika (CBK) is the only one who can defeat Jarapassa. Karu will lose just as Sarath FOnseka did. Karu has NO charisma and has been switching parties. Once the Court rules, as it inevitably will, that Jarapassa can run, then CBK should be named joint opposition candidate. She will be able to get the old guard SLFP votes and the joint opposition including the minorities which is the only way to defeat Jarapassa. Good one madam Thisaranee. The joint opposition continues to be useless – Mahinda Jarapassa is over joyed that it is Karu who is totally uncharismatic and wishy washy and will not be able to defeat him in a Presidential Election rather that CBK who has been named joint opposition candidate! The fact of the matter is that ONLY Chandcirka Bandaranaiyake Kumaratunge can defeat Mahinda Jarapassa at a Presidential election. The timing of Sobitha and the joint opposition is awful. THe UNP with its infighting between Ranil, Karu and Sajith continues divide the opposition rather than unite it. Sobitha Thero’s timing is all off. The joint opposition having waited so long, should have waited until the ruling of the Superieme Court on whether Mahinda Jarapassa can run and then if that was the case put up CBK to run against him. Strike while the Iron is hot. Now or Never. Mr. Rajapaksa understands that. Does the bricking opposition understand that? Write, Print and distribute the Sri Lankan version of the common sense pamphlet Now! Otherwise, you will regret it ALL your LIFE! Nobody knows about the other authors from 1776. They all know about the anonymous author of Common Sense pamphlet. More materials for your “forthcoming” Common Sense Pamphlet. You may create a Common Sense Pamphlet Video too. It will be a hit. Video: Elections cannot be held to crown people. No one can get involved in elections to crown others as unity and camaraderie is required for people to get involved in elections says the Secretary General of the SLFP Minister Maithripala Sirisena. His first term worked on Terror within the country, but second terms he focused only on fatting his pockets to the manner any afro leader did it. Man s assets should be nationalized by any future govt. Any new govt will be elected should work on Rajapakshes assets and take them for the upliftment of the poor of the poor. There, they may have billions to give a life to Rajarata youth – 500 0000 .. that fight without having proper health care for those young men being caught by death at the very immmature aages.. while the president and the bunch of thieves surrounded by him waste on day light the sums fo the poor that they would and coold better use for their health upliftements. You can not depend on Karu .. the man who became a `karu gahannaa` to strengthen MR. Sajith the buffalo is known to be a cut-throat – `Anu Kewattaya posted by MR himself. Ranil, Chandrika or Ven.Sobhitha thero. One of them should be the common candidate. Otherwise we are Kaput! Where is it? Is it Done yet? I Mean the Sri Lanka Version of the Common Sense Pamphlet. Just Do It! Chandrika! Common candidate…. my foot! Worst ever leader the country has ever produced. Anybody remember anything she has done for the country? 11 years did absolutely nothing and had a gala private time with her cronies at public expense. Boozing till morning and keeping all dignitaries, service commanders during the height of war waiting for hours and hours for appointments. Further, she promised in writing to JVP to abolish executibe Presidency. Who is crazy to want such indisciplined untrustworthy ineffective dude to be back in power. Only a few SLFPers who could not make sufficient corrupt deals wants her for that reason. No SLFP votes for her. That is with MR.
Then Karu, the back stabber, joined MR with 17 UNPers. The very Architect of UNP’s downfall. No UNP votes for him, saving a few UNP Bhikku Bala Mandalaya monks. Now back in UNP and continuing to ruin the party (second even to Paba from Gampaha). UNP the largest single party in the country and the main opposition. Don’t play into the hands of Mangala website agendas, Ravi K personal agendas, pseudo NGO hollow “think tank” agendas or to the so called self proclaimed “visionaries” of the like of Victor Ivan and Ravaya clan. UNP and Ranil. Stand tall. DON’T ALLOW TAIL(S) TO WAG THE DOG. Let the Tail follow the body. UNP and ELEPHANT SYMBOL IS THE ONLY ALTERNATIVE. Our votes are ONLY for UNP and ELEPHANT. enough support from the opposition or form a strong coalition. Should be in a position to enter into electoral pacts with major opposition parties to contest parliamentary election, which follows the Presidential election,to win majority votes and more MPs . It is an admitted fact that no single opposition party can beat the ruling party,alone. Karu is the best choice and well suited for this job as he has done less sins than the others who are aspiring to be the next President. He is educated, been a diplomat and his PR is awesome and people respect him. He has the backing of the minorities and the Buddhist clergy. He may have sinned by crossing over to SLFP but there had been a valid reason for it and the clergy and some of the UNP’rs too accept that he did the correct move under the circumstances prevailed at that time. Don’t forget the fact that are two factions in UNP. One is Premadasa clan headed by Karu and JR clan headed by Ranil and this division is still there and active. active on the field and very much ahead and in fact gone half way thro’ the election propaganda, while UNP and the opposition still groping in the dark,unable to select a common candidate. It is, in fact, little bit too late as by the time they find a candidate and electoral pacts signed, and cover the whole country to befriend the voters, explaining their policies ,the election date will pass. That may the reason Govt keeps advancing the EP election date. Opposition parties, except JVP, move at snail pace and so far no one sees any vibrant activities going around in the opposition parties and on ground, which could mean that there could give a walk over. The Opposition is in utter disarray. The first ‘common’ candidate fell at the first hurdle after he vocalised his admiration for the murderous LTTE. The others that followed had their own negative qualities. Now they have fallen back on CBK, after arguing that after two terms in office she and MR were no longer eligible. All this efforts to are to give the Vellalas Self rule.. It is okay if our inhabitants want to turn Srilanka into a Mexico. And the Central Govt tries to pin the blame on Drug lords. Irate Mexicans burn down the Prez Palace. In Srilanka , Drug lord are on the run , even with introductory letters from the PM’s son. Their assistants are getting buried instead of innocent students or their parents. And the BASL and Lawyers Collective are not happy at all. Do these people who work overtime bashing the Govt and begging the West to change regime and give our inhabitants 9 Different Police Forces and 9 different Vella CMs to do as they want, worry about dangers facing our inhabitants from Drug barons, Underworld thugs, besides everything anything else. by fragmenting the law enforcement and handing it over to crooked Politicians ..
To top it all just imagine UNP, TNA and CBK stooges getting hands on the Police Commission and totally detaching it away from the President?. Do these Commission Bosses have to do the same?. Probably not, because the 5 years of peace , harmony and good Economic growth they enjoyed since Nanthikadal may have given them a false sense of ever lasting good times.. The people are ready to overthrow this wretched familial despotic regime. But are the parties of the opposition ready to make a little sacrifice here and there and unite to achieve this single purpose, the greatest expectation of the people at the moment?